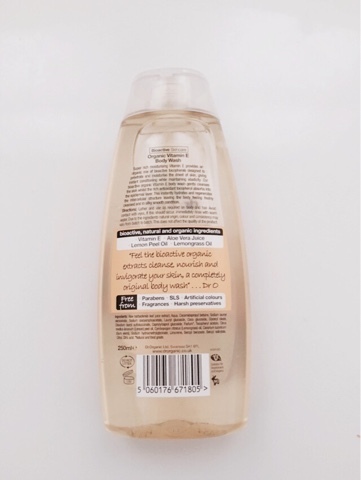 If you have read my blog before you will know I no longer use anything that contains Sodium Lauryl Sulphate. I also found that if I was trying to do that, I may as well try to use organic products when I can too. After shopping in Holland and Barrett recently, I came across the Dr Organic range. I decided to try one of the shower gels. 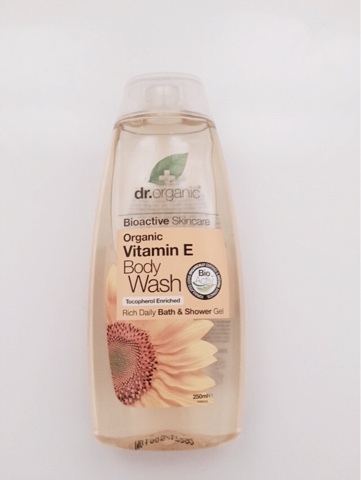 I picked up the Dr Organic Vitamin E Body Wash. It claims to penetrate and moisturise the driest of skin, giving instant conditioning while maintaining elasticity. It will cleanse the skin whilst the rich antioxidant tocopherol absorbs into the epidermal layer to instantly hydrate and leave the body feeling freshly cleansed and in silky smooth condition. It contains bioactive, natural and organic ingredients and is free from parabens, Sodium Lauryl Sulphate, artificial colours, fragrances and harsh preservatives. I love this body wash and wish I had come across it before. It has such an amazing lemon scent to it and you only require a small amount to cover your whole body. It moisturised my skin perfectly and left my skin smelling delicious. I would highly recommend this to anyone. You can buy it from Holland and Barrett here for only £5.49. Has anyone else used anything from the Dr Organic range before? Sounds like a really great product for a great price as well! I haven't heard from them before, but it is always great to hear about SLS free affordable brands. nope, never heard or used them before. I use Lush products, are they bad? Love the fact that its moisturizing ! Sounds good!! I haven't used this before, but sure won't mind. 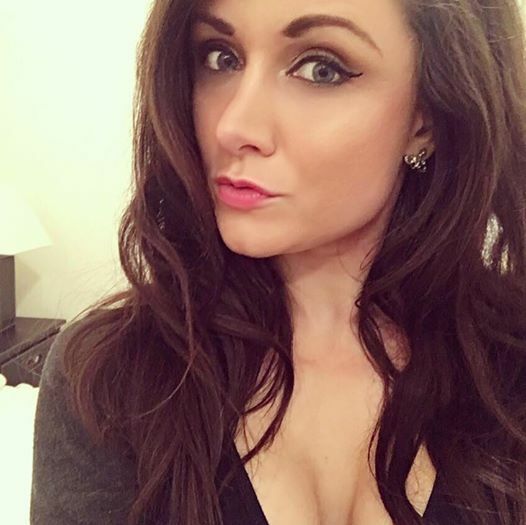 http://justmorgs.blogspot.co.uk - Check out my latest post! Love the look of this product. So good that it's moisturising! Seems like an awesome product! This is awesome! I just recently learned about how important vitamin E is for healing! I noticed it in one of my lotions as well. So important! I love the sound of anything organic, so I'd definitely like to give this a try! Great review! This looks amazing! I will definitely have to try it out! I haven't tried this before but it does look promising!